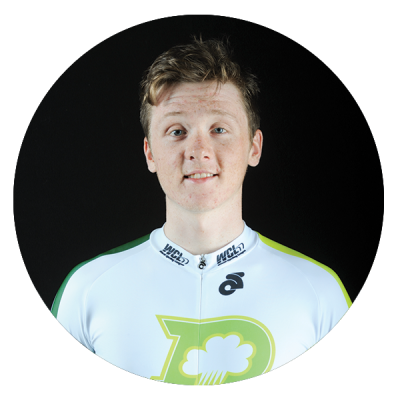 As the youngest Thunder, Fintan Ryan hails from a cycling family and is one of the brightest future hopes for Irish track cycling. What he lacks in age and experience he more than makes up for in talent, speed and smarts. A top scholar, Fintan has put his engineering studies on hold to pursue a career in international cycling, showing real promise in both road and track races throughout Europe with top finishes in Portugal, France and England. Watch for breakthrough performances from this lad!